Without understanding the cross, we turn Christianity into another human contest about self-importance. "Where were you? You were supposed to be His rock?" "I failed him. Now I can't ask him to forgive me." 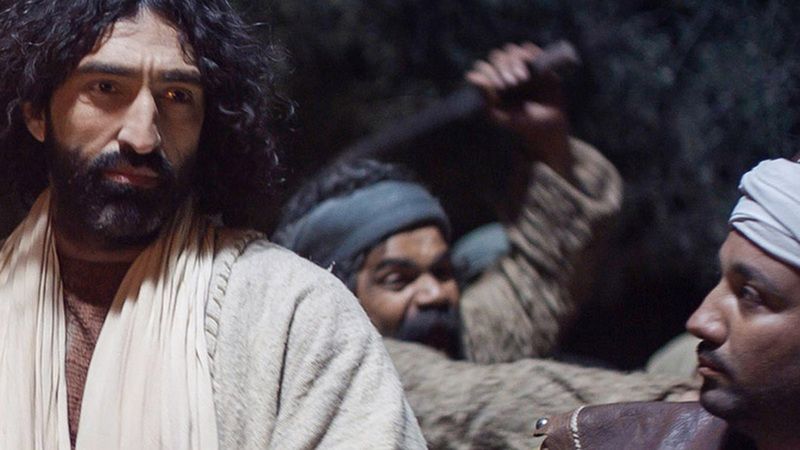 This imagined dialogue from the movie, The Bible,[VID] reflects the heart of Peter's struggle to be faithful to his Lord and to understand the centrality of the cross. Heaven had revealed to Peter the truth about Jesus' identity. However, Peter had to be broken of his unwarranted confidence in himself and his desire to be important. In addition, Peter's understanding of what it meant for Jesus to be the Christ, the Messiah, of Israel, was deeply flawed. Like so many others, Peter wanted Jesus to be the powerful leader who threw off the power of Rome that subjugated the children of Israel. Six centuries of being a conquered and abused people had led God's people to hope for a deliverer — a warrior who could be a conquering king like David. Over the centuries of being a conquered people, Jews prayed, yearned, and came to expect the coming of this conquering king, the Messiah, the Christ of God, who would bring them deliverance. When Jesus began to do his mighty miracles, many who saw them wanted to make Jesus king (John 6:14-15). 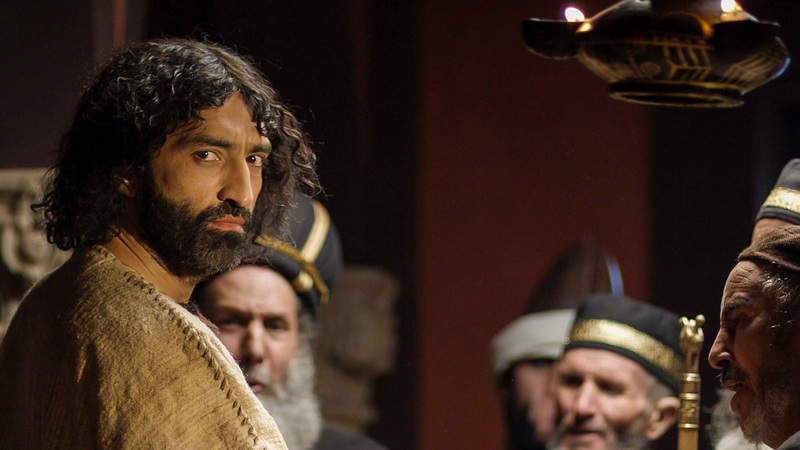 As Jesus began his journey to Jerusalem on his way to the cross, anticipation was high. Talk about the coming of the kingdom intensified as the Lord journeyed to Jerusalem (Luke 17:20; Luke 19:11). Jesus had taught about the kingdom of God, often using parables (Matthew 13:1-53). He had taught his disciples to pray for the kingdom of God to come (Matthew 6:9-10). So expecting Jesus to be the conquering hero, the Messiah the people had longed and prayed for God to send, was natural. Peter not only lived in the world of such kingdom expectations, but he also had an overblown sense of his own significance. This sense of self-importance got him in trouble repeatedly. Peter was hoping to be one of Jesus' important leaders in the coming of the kingdom. He was, after all, in Jesus inner three apostles (Mark 5:37; Luke 9:28; Matthew 17:1). Despite needing to be rescued in the end, Peter walked on the water to Jesus while the other apostles cowered in fear (Mark 14:25-33). He was the one who confessed Christ and was told he would be Jesus' "Rock" (Matthew 16:18-19). Then Jesus answered, "Will you really lay down your life for me? Very truly I tell you, before the rooster crows, you will disown me three times!" Along with his fellow apostles, Peter couldn't even stay awake and pray for their Lord during his most trying moments in the Garden of Gethsemane (Matthew 26:36-46). Trying to be true to his word, when the soldiers came to arrest Jesus, Peter did draw a sword and sought to defend his Lord (John 18:1-11). 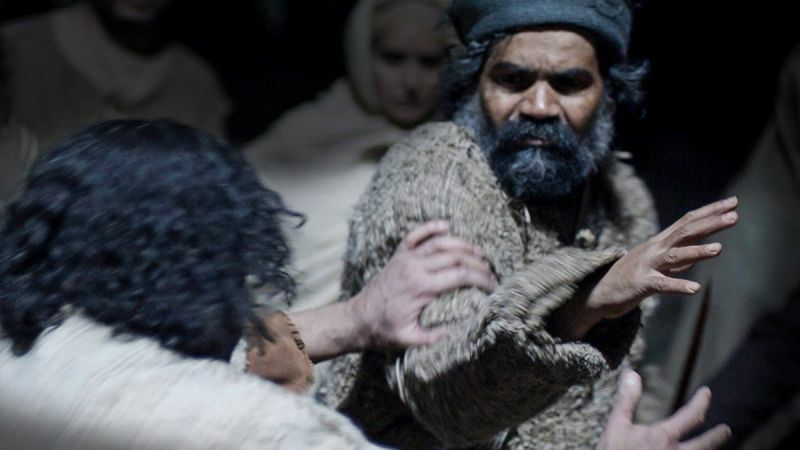 When Jesus emphasized that he would not resist his arrest with force, that he must fulfill the will of God, Peter and the other apostles deserted Jesus and ran away (Mark 14:48-50). Peter did follow Jesus at a distance and came into the courtyard of the High Priest where Jesus was being illegally tried (Luke 22:54). It was here that Peter's sense of self-importance and desire to be first was broken. 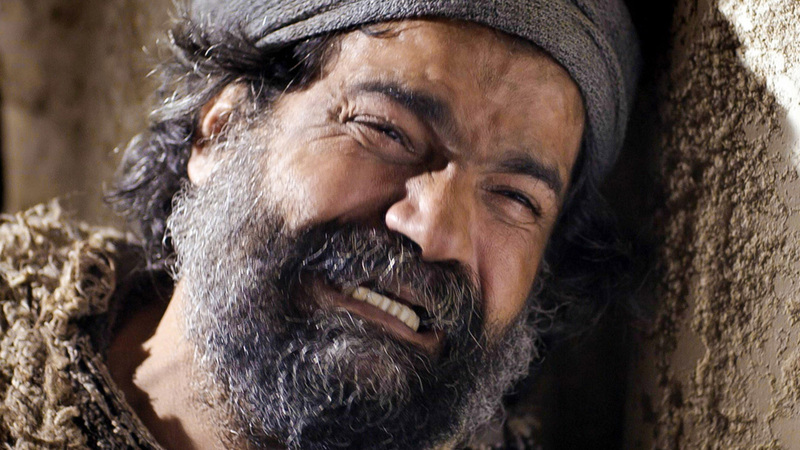 Near a charcoal fire, Peter denied Jesus three times, heard the rooster crow, and went away to weep bitterly after looking into his Saviors eyes (Luke 22:55-62). The Lord Jesus would endure his horrific ordeal of false trials, beating, mockery, rejection, walk to Golgotha, and crucifixion, alone. The story doesn't end behind locked doors with fearful and defeated disciples after the death of their Messiah. Jesus was raised from the dead. After confronting Peter three times about his failure, the risen Jesus restored the broken Peter to ministry (John 21:15-17). Peter would go on to become the rock Jesus has promised he would be. He was the key communicator on the day of Pentecost when the church was born (Acts 2:1-14). He was the key apostle who advanced the gospel among Jews in the earliest days of the church (Acts chapters 3-7). He was chosen by God to confirm taking the gospel to both Samaritans and Gentiles (Acts chapters 8-10). He went on missionary journeys and wrote churches to guide them through their own trials and impending persecution (see 1 Peter). As A.W. Tozer said many years ago, "It is doubtful whether God can bless a man greatly until He has hurt him deeply." The issue is not God's desire to break us, but our human tendency to want to be important, to be regarded as significant, and to be put in a place of honor. Peter's life shows us the ultimate failure of this self-seeking approach to life, fame, and faith. Get behind me, Satan! You are a stumbling block to me; you do not have in mind the concerns of God, but merely human concerns (Matthew 16:23). This human tendency is where we fail, too. We want to be important because we see importance as status, achievement, notoriety, recognition, and reputation. Jesus, however, taught that the greatest is a servant who followed their Lord's mission for life. You know that the rulers of the Gentiles lord it over them, and their high officials exercise authority over them. Not so with you. Instead, whoever wants to become great among you must be your servant, and whoever wants to be first must be your slave — just as the Son of Man did not come to be served, but to serve, and to give his life as a ransom for many (Matthew 20:25-28). Since you call on a Father who judges each person's work impartially, live out your time as foreigners here in reverent fear. For you know that it was not with perishable things such as silver or gold that you were redeemed from the empty way of life handed down to you from your ancestors, but with the precious blood of Christ, a lamb without blemish or defect. He was chosen before the creation of the world, but was revealed in these last times for your sake. Through him you believe in God, who raised him from the dead and glorified him, and so your faith and hope are in God (1 Peter 1:17-21). The issue is not God's desire to break us, but our human tendency to want to be important, to be regarded as significant, and to be put in a place of honor. "The Misunderstanding" by Phil Ware is licensed under a Creative Commons License. Heartlight encourages you to share this material with others in church bulletins, personal emails, and other non-commercial uses. Please see our Usage Guidelines for more information.